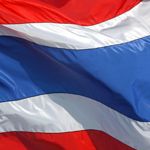 Special courts have been established in Thailand for persons under the age of 20. This however has been further subdivided into age groups as we will explain further as to youth civil and criminal courts. Speak to a local lawyer in Thailand about being an intern for 2-3 months to see the workings of the legal systems in Asia first hand. With Asia growing economically their laws will become more important as time passes so best to start understanding the workings of the system today. Here is a good article on how Customary Law in Thailand became the basis for the modern divorce laws today. The Juvenile and Family Court has jurisdiction in any criminal case involving children (aged 7 to 14) and youths (15 to 18) and any civil action under the Civil and Commercial Code involving proceedings concerning any minor (under 20). This is however also the same court (Family Court) that hears matters such as divorce or any proceedings which involves children. Much like the British system a child under the age of 7 with regards to Thai law cannot be held accountable for their actions and any child under the age of 14 cannot be imprisoned. The family court however has to have 4 judges. Two of these judges would be career judges and 2 would be lay judges. The law also dictates that of the 4 persons on the bench at least 1 of them has to be female. We will look further at special courts in Thailand. This courts listerns to tax issues and customs duty matters. There are Four judges. Two Judges, one lay judge and a career judge. Labour disputes are heard here and on average a labout matter takes 4-6 months to be completed. This is a bit of a twist compared to other legal systems as there is one career judge, one lay judge representing industry and one lay judge representing a labour federation. Hence this court has 3 judges hearing the matter. This court was established in 1999 and oddly enough allows evidence under certain circumstances, permit hearsay evidence and allow recorded and/or long-distance live testimony by submission of a deposition, or by hearing witnesses via video conference or computer record admission as evidence.